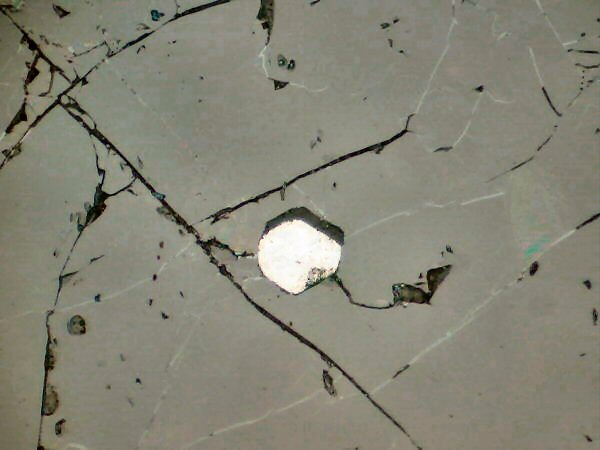 Comments: Polished section showing a white euhedral crystal of hexaferrum in gray chromite. Location: Pole Corral Pass, Rattlesnake Creek Terrane, Beegum, California, USA. Scale: Picture size 14 mm.